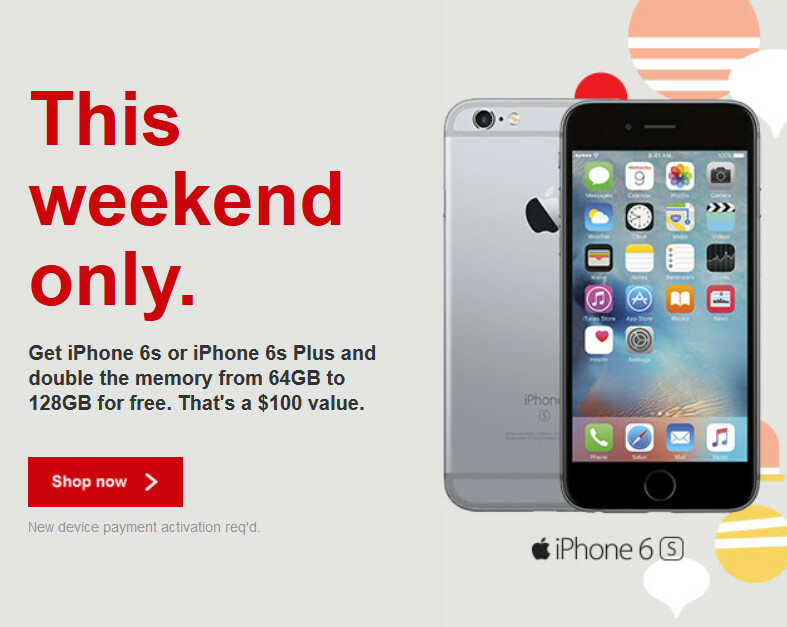 If you're a Verizon subscriber looking to buy the Apple iPhone 6s, or Apple iPhone 6s Plus, making the purchase this weekend will allow you to take advantage of the carrier's special deal. Buy the 64GB iPhone 6s or iPhone 6s Plus, and Big Red will bump you up to the 128GB model for free. That is a savings of $100. The current sale price of the 64GB iPhone 6s is $749.99, while qualified customers can save $100 by paying $0 down and $27.08 a month over 24 months. The Apple iPhone 6s Plus retails for $849.99. Again, qualified customers can save $100 by paying $0 down and $31.24 a month for 24 months. Keep in mind that while you are purchasing the 64GB version of either phone, you will actually be receiving the 128GB model. Verizon is also doubling your memory for free if you purchase the Samsung Galaxy S6, Samsung Galaxy S6 edge+ or the Samsung Galaxy Note 5 this weekend. 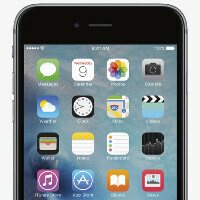 Purchase either one, and you will be receiving the 64GB model for the price of the 32GB unit. The nation's largest carrier is also giving away a free 32GB SanDisk microSD card to those who purchase the Motorola DROID Turbo 2. Well this is PA you're talking about. Wish I was allowed to upgrade early. I'd be going in first thing in the morning to get the Note 5. I've still got 11 days before I'm halfway through my 2yr contract. Worthless!!! You pay the phone off and it is still stuck on Verizon because they NEVER unlock their phones! Not if you owe money on it! And I bought my Sony Xperia Z3V brand new off eBay they wouldn't unlock it. Sir the fact that you even considered buying a Sony is atrocious lol jkjk but dude just root it and use the sim unlock tool. And no one unlocks a phone if you owe money on it. also I work at Best Buy so let me tell you the easy way to do this just get a phone on contract and then swap out that phone and put another piece of trash in its place now cancel the contract and sell the phone on eBay or Amazon for full price I always do it I have a iPhone 6 16GB brand new that I'll be posting on eBay in a few days. The promotion sounds really dumb. Why not just say that they're offering the 128gb version at $100 less? I don't think so. It sounds like I have to ask for the 64gb just to get the special pricing for the 128gb. I'd rather just ask for the 128gb and be done with it. They are doubling storage....not memory.